Here to Help Learning writing students learn the predictable rhythms of the writing process and become skilled at applying it to any writing challenge. 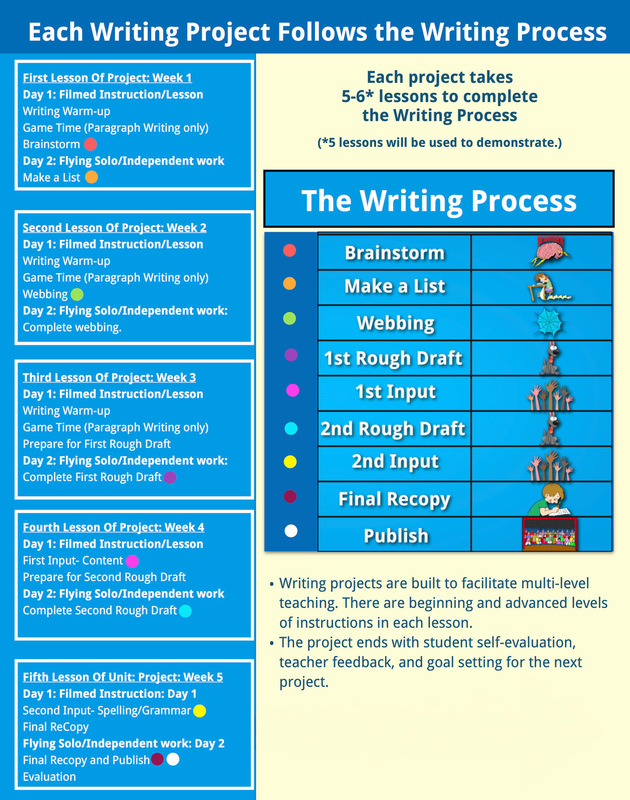 Each writing project follows the writing process and takes 5-6 lessons or weeks to complete. There are 32 lessons per year. Complete one lesson on the filmed instruction and the Flying Solo Assignment (independent work) per week. 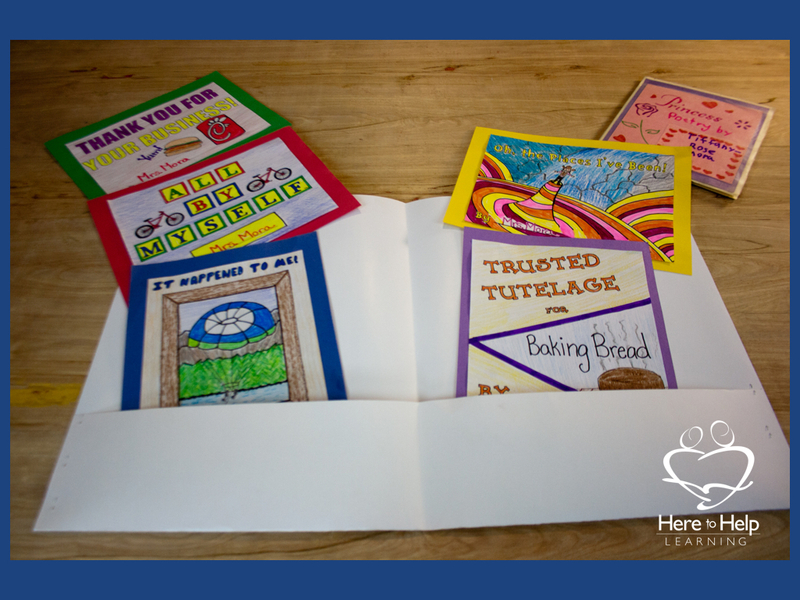 Students complete six writing projects a year.